Federal agents interrogated a Google Glass enthusiast for wearing his computerized eyewear in a movie theater, according to reports. The unidentified man from press reports has said he wore the glasses at least a couple times to the Columbus, Ohio, movie theater and has chatted with staff who were curious about them. This time, on Jan. 18, he was sitting in the darkened theater with his wife when officials grabbed the glasses from his face, took him to a room surrounded by law enforcement types and asked what criminal organization backed his piracy efforts. AMC Theatres alerted federal authorities of the Google Glass suspect, and Homeland Security reps have reportedly given statements to the press acknowledging that they talked to the moviegoer, who it turns out simply was wearing Google Glass and not part of a conspiracy. 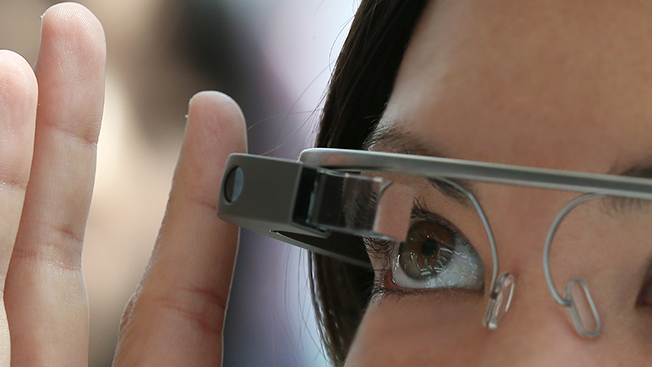 Google Glass is still an experimental mobile project from the company before going on wider sale. Early adopters with the devices are known as Google Glass Explorers, and they have found themselves on the front lines of a cultural clash from cafés to cars. One California Glass wearer was ticketed for wearing the device while driving. A judge dismissed that case, saying there wasn’t enough proof the glasses were on while the user was driving. AMC does not have an official public policy barring Google Glass, but of course, users can’t illegally record movies. The Glass wearer was able to prove he wasn’t recording by showing his interrogators the contents of the device. Details of the incident were first posted on The Gadgeteer blog, and have since become the latest sensation involving Google Glass.